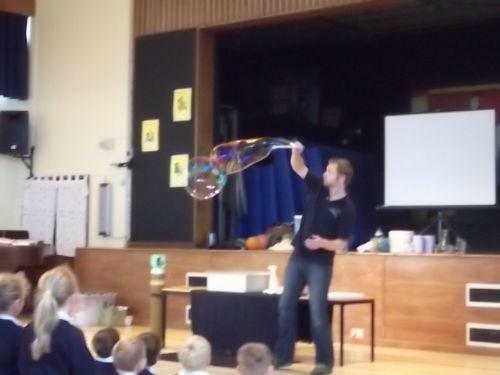 We started our Science with an amazing 'Bubble Show'! We were wowed by the weird and wonderful things a simple bubble could do! On Friday we had a fantastic morning watching the helicopter arrive and land. We were all allowed to sit inside and then we watched Mrs Loxton go for a 'spin' around Mere!